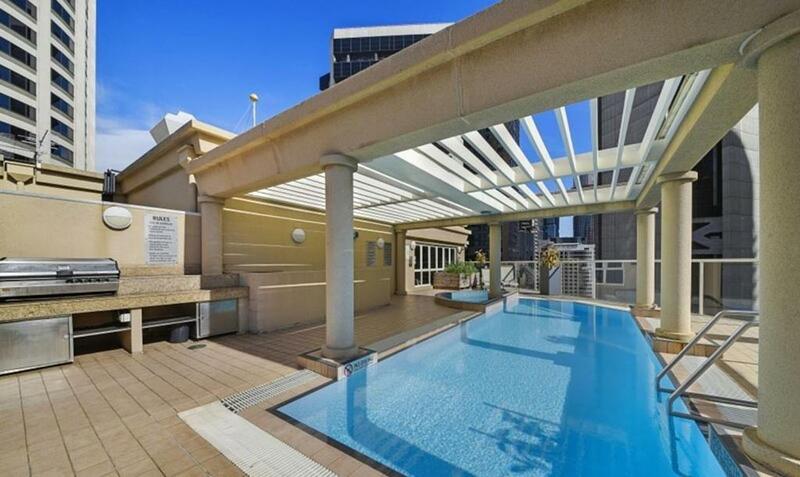 Bond 1218 is conveniently located in the Central Business District of Sydney and has an outdoor swimming pool. The property is an 8-minute walk from the Hyde Park Barracks Museum and features free WiFi. This apartment features 1 bedroom, a kitchen with dishwasher, a flat-screen TV, a seating area and a bathroom with a shower. 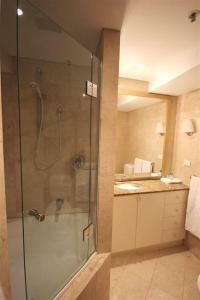 Spa and wellness facilities including a hot tub and a sauna are at guests' disposal during their stay at the apartment. The Royal Botanic Gardens is half a mile from Bond 1218, while Sydney Opera House is a 15-minute walk away. Kingsford Smith Airport is 7 miles from the property. When would you like to stay at Bond 1218? 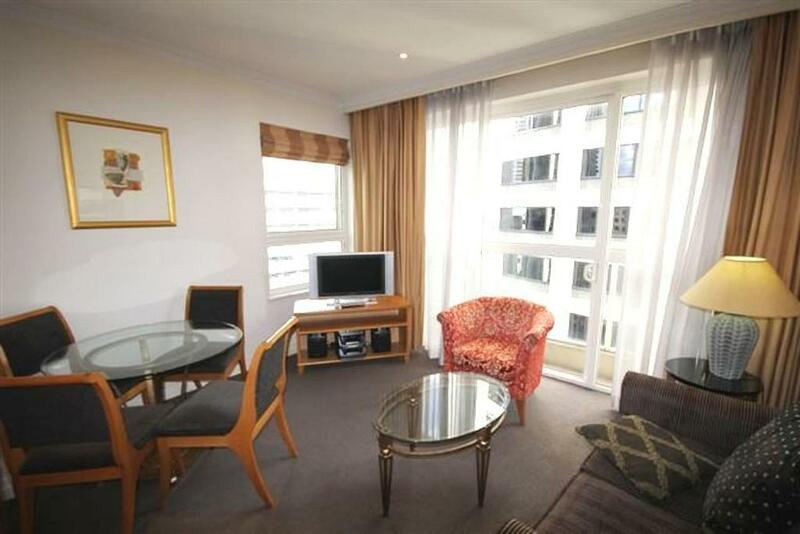 Surrounded by Sydney's business district and shopping areas, this popular one bedroom plus a large study and is only a short stroll to Sydney Harbour, the main ferry terminal and the famous Opera House. 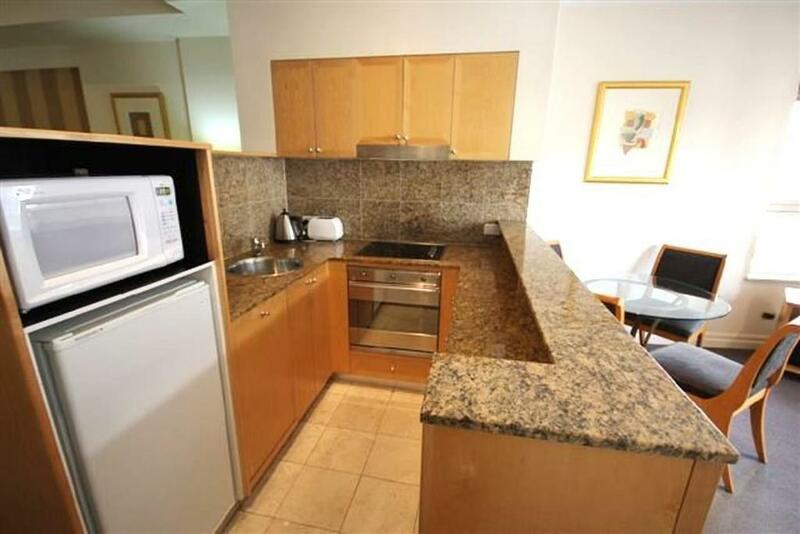 There is a well equipped kitchen including a dishwasher which overlooks the lounge & dining area. The lounge comes complete with a TV, DVD plus cable (CNN, CNBC) and Wi-Fi, complete with a balcony and air-conditioning. 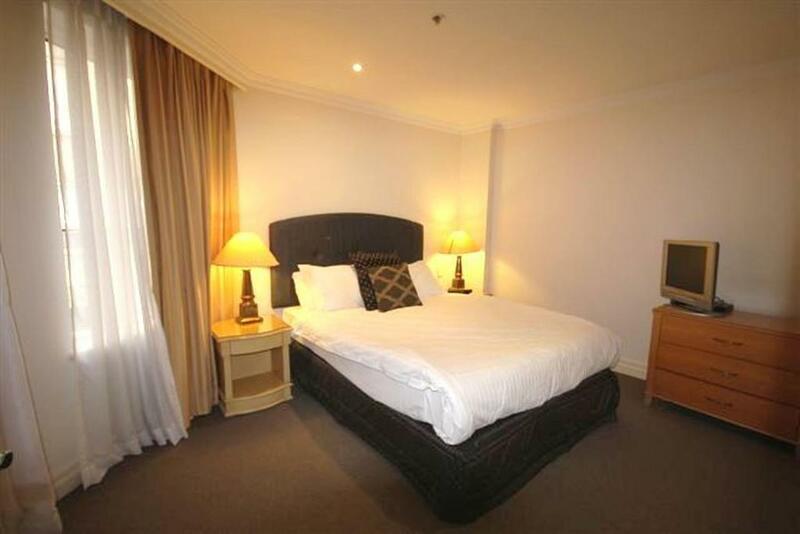 The main bedroom contains and queen bed and TV. 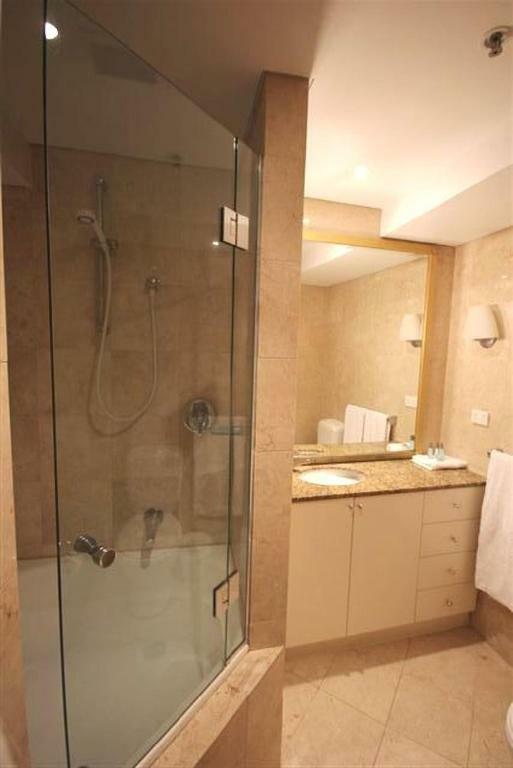 The marble tiled bathroom has a shower plus separate modern washing and drying machines. The building's entry foyer is very impressive resembling an up market hotel with its front desk and smart ground floor coffee shop catering for those quick snacks. 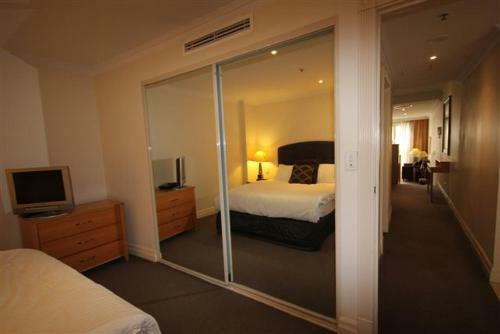 Adding to your enjoyment is a roof top pool and spa, from here you have spectacular views of Sydney skyline and Harbour. 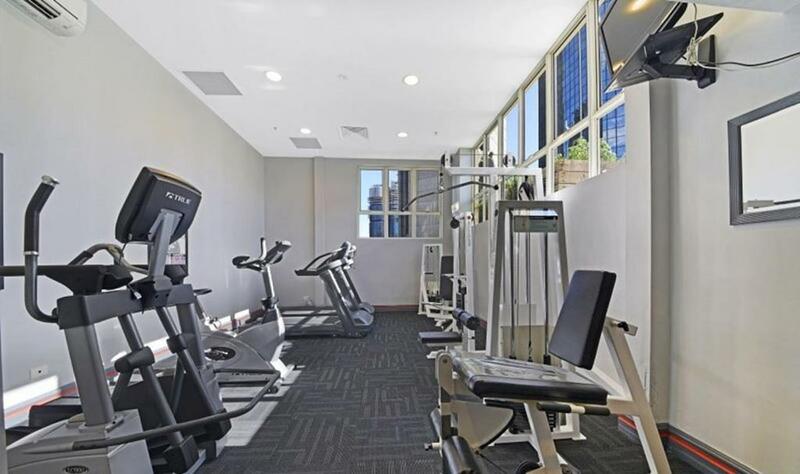 Also near the pool is a well-equipped gym. Apartments Plus have been established for 15 years. We specialize in short and long-term accommodation. 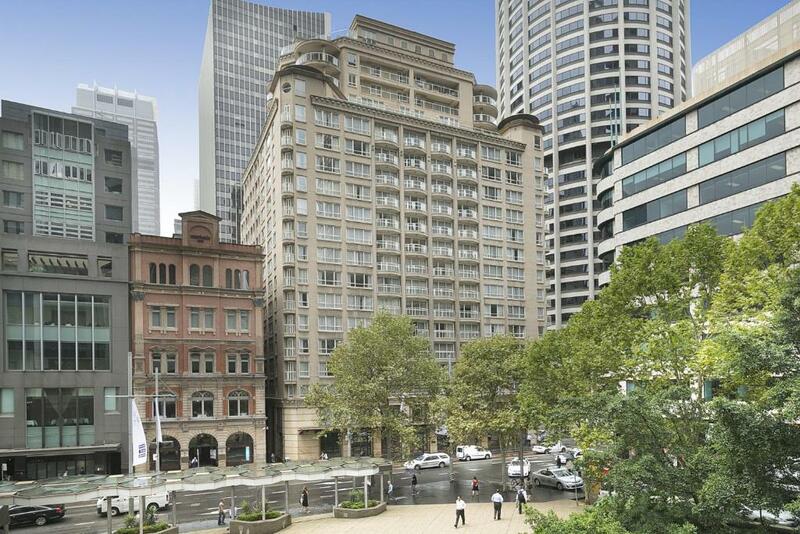 We have apartments located through Sydney & office is located in King Street Wharf. House Rules Bond 1218 takes special requests – add in the next step! Bond 1218 accepts these cards and reserves the right to temporarily hold an amount prior to arrival. Please note that there is a 3% charge when you pay with a Visa or Mastercard credit card that is nonrefundable. Please note that there is a 3.5% charge when you pay with a American Express credit card that is nonrefundable. You must provide a valid photo ID and credit card within 48hours from the time of booking. This photo ID and credit card must be in the same name as the guest s name on the booking confirmation. 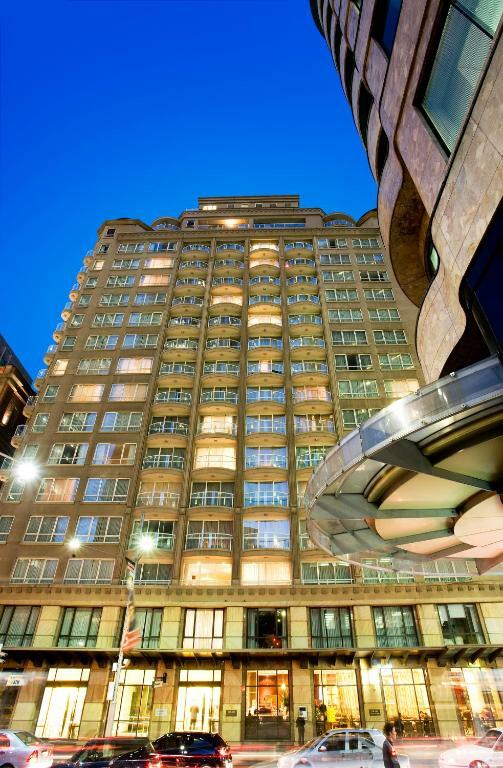 Please note that this apartment is privately owned and is not associated with the onsite building managers/reception. Please inform Bond 1218 of your expected arrival time in advance. You can use the Special Requests box when booking, or contact the property directly using the contact details in your confirmation. This property is located in a residential area, and guests are asked to refrain from excessive noise. 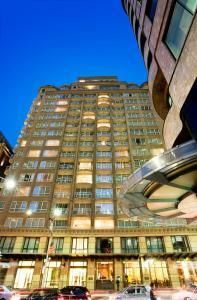 Please note that check-in and key collection take place at: 21 Shelley Street, Sydney 2000. We need at least 5 reviews before we can calculate a review score. If you book and review your stay, you can help Bond 1218 meet this goal.